Paul Carpenter, creator of the Zenith deck, has graciously allowed us to release 500 of his beautiful new Encarded Standard playing cards. 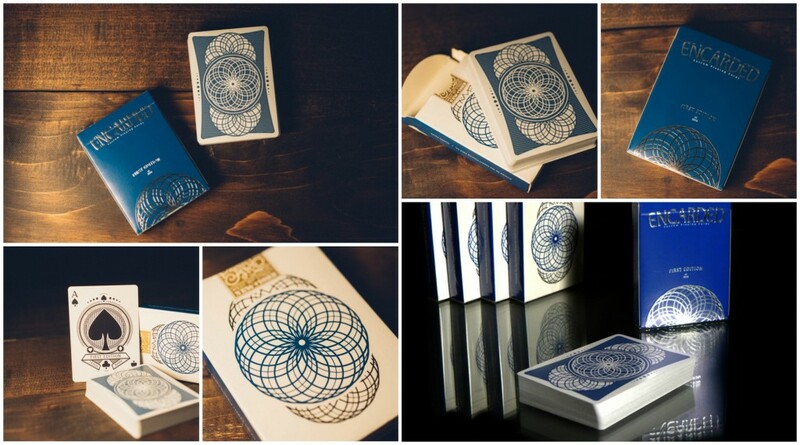 These are stunning and made to perfection by the Expert Playing Card Co. This is the First Edition of a special series of small runs. Each time a design in the Standard series sells out, Paul’s intention is to redesign the deck and re-release with a new deck color, so that there is always one of these beautiful decks in production. Should turn out to be quite a series! These cards feature a metallic blue back and an amazing tuck case with silver foil and embossing details. Get them quick, it is a rare opportunity to get the first in a series and, while we know that future decks will be just as amazing, these will always be the first!